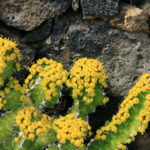 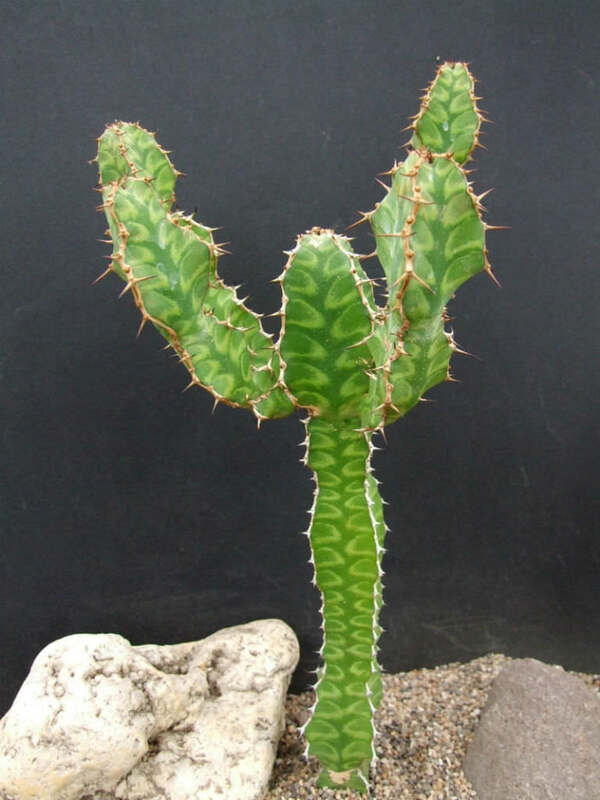 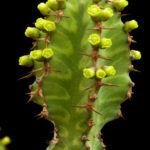 Euphorbia pseudocactus is a thorny, clump-forming, succulent shrub, up to 4 feet (1.2 m) tall, with several upright, leafless stems. 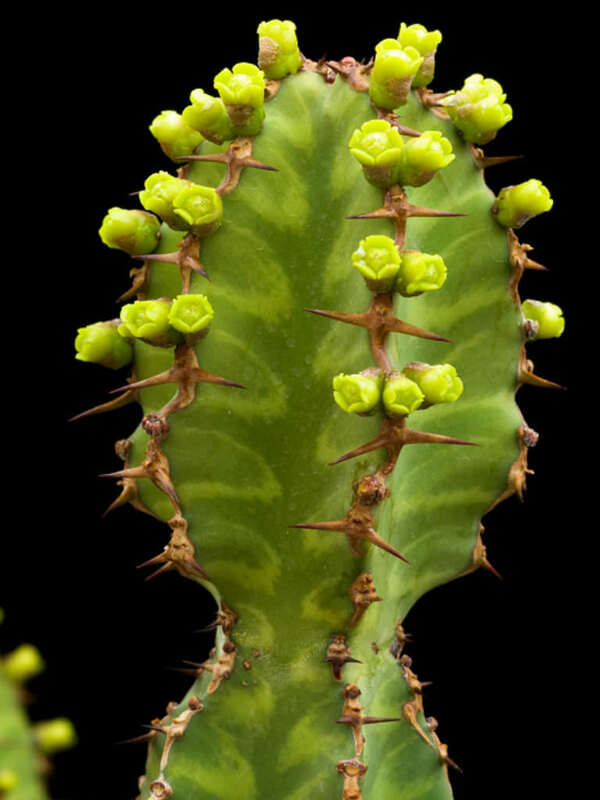 The stems are with 3 to 5 ribs (usually 4), green with U-shaped grey-yellow or greenish-yellow markings and up to 2.8 inches (7 cm) thick. 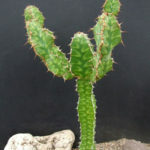 The spines are paired, joined in a horny margin, white or grey with dark brown or black tip and up to 0.5 inch (1.2 cm) long. 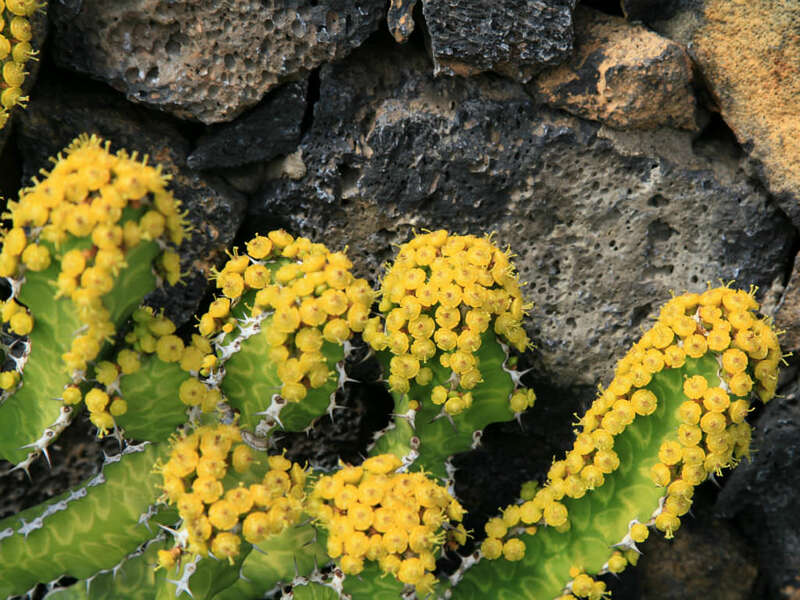 It produces small, yellow flowers along the rounded stem tips. 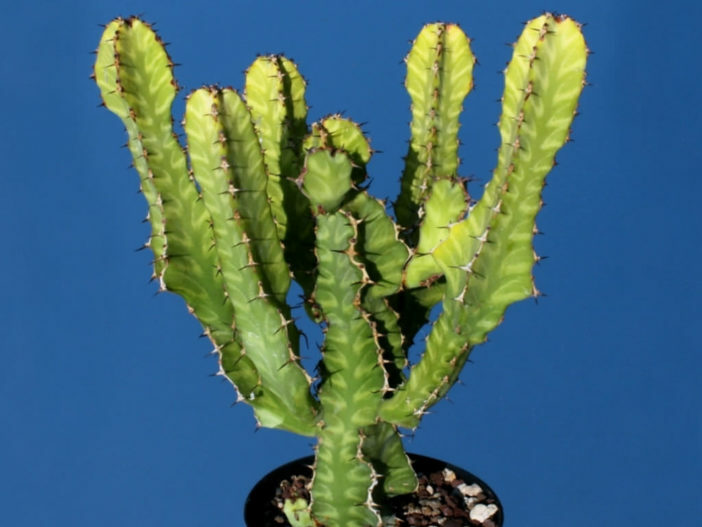 Euphorbia pseudocactus is native to South Africa (KwaZulu-Natal).